PLEASE sign our Guest Book and let us know what you thought about the 2009 Charlotte Conference. Many thanks to everyone that came to the 2009 Charlotte conference even though it looked like we were going to be rained out. We had planned for years to be able to move inside in case of bad weather, but we had never had to do it and didn't really know how it would work. But thanks to a large effort by the hotel it did work and those of you that "chickened out" and stayed home because of a "little rain" missed a GREAT meet. 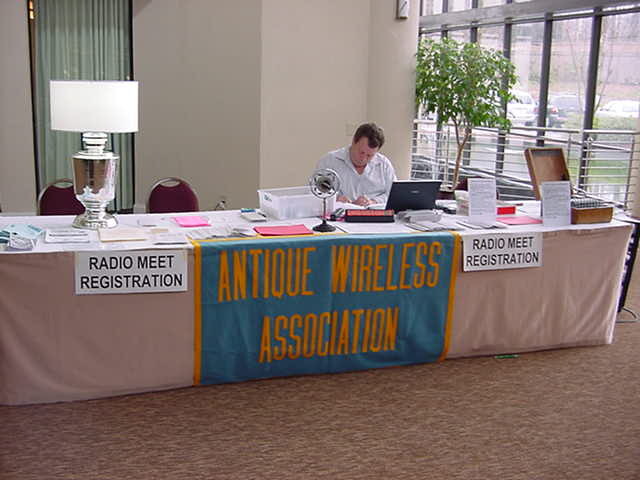 We had 125 flea market tables all over the conference area of the hotel including the main lobby, the main hallway through the conference area, three large conference rooms and one of the large ball rooms. Thanks again, we look forward to seeing everyone next year, hopefully under Carolina blue sky's and with 75 degree temps.